These are all weight abbreviations. If you are driving a vehicle and towing a large trailer or caravan you need to know what these weight abbreviations mean for your vehicle and trailer/caravans load carrying capabilities. These have been attached to your vehicle by the manufacturer so you know the safe operating capacity of the vehicle. Do you know the weight of your car and caravan? These figures on your vehicles and vans compliance plates are maximum weights. You need to stay under these weights to ensure your vehicle/s are not overloaded. As a rule they should be in kilos. Here is a list of these terms and their meanings. This can also be GCVM, Gross Combination Vehicle Mass. Both GCM and GCVM are the same thing. This is the total weight of the tow vehicle and trailer while travelling down the road. So this figure will include fuel, people, gear, water etc. Your vehicle will have a maximum GCM figure attached to it on a compliance plate under the bonnet or a sticker around the drivers door frame. Your vehicles actual GCM needs to stay under this figure. The GCM figure attached to your vehicle is the maximum your vehicle combination can weigh while travelling. This is the maximum weight allowed on the vehicle that this plate is attached to. This includes all extras, people etc. This is the weight as it would be with you in it, driving down the highway. This is the total weight of the trailer while uncoupled from the tow vehicle. This figure is the maximum weight your trailer can be and will be on the trailers compliance plate. The total of the axle weight and weight on the jockey wheel. This is the weight on the axle/s of the trailer while coupled to the tow vehicle. 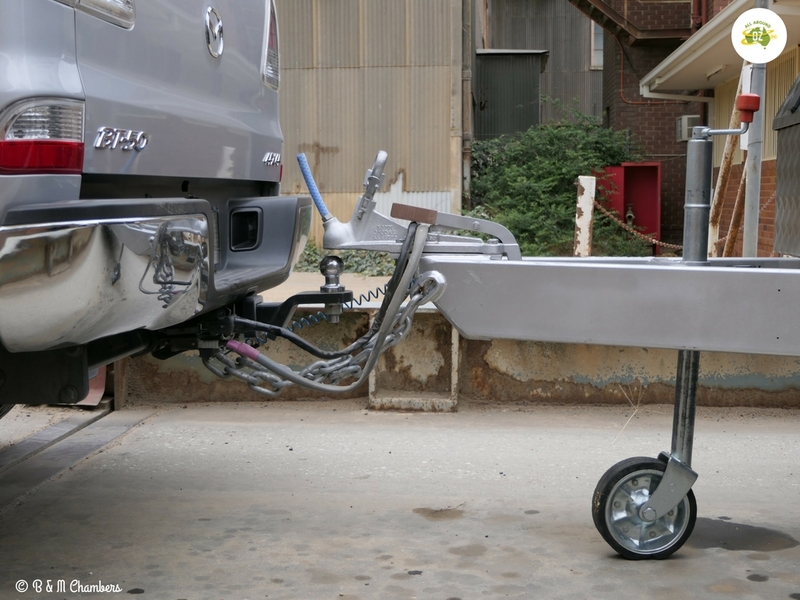 This figure is also on the trailers compliance plate and will always be lower than the ATM, as part of the trailers weight is on the back of the car. This is the weight on the tow hitch of the vehicle while the trailer is coupled. As a rule this is about 10% of the trailers ATM. If you know the trailers ATM and GTM, then the difference between these 2 figures will give you a close ball weight. This is the bare weight of the vehicle as it rolled off the production line. 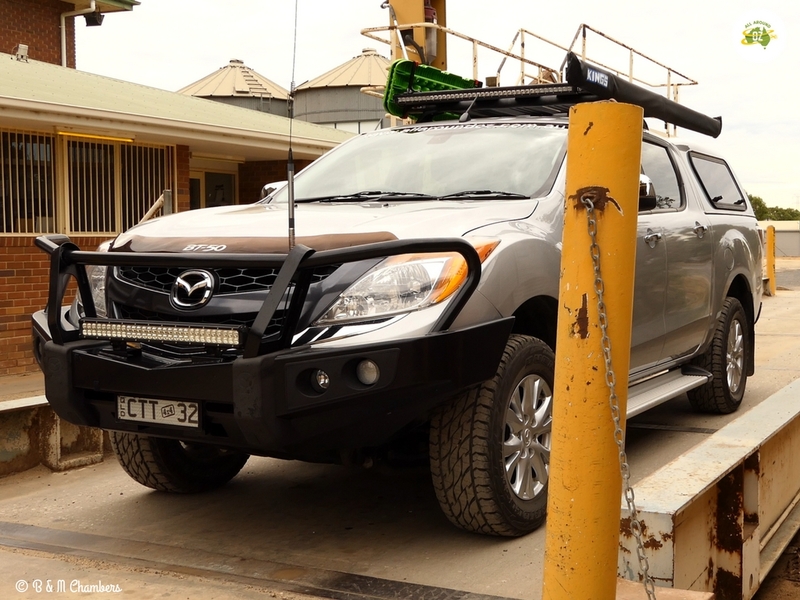 It is the weight before any extras are fitted such as bull bars, roof racks or drawer systems. In the case of a caravan it is the weight without removable accessories, no water in tanks etc. This is the difference between the Tare and GVM or ATM. The payload is the weight you can put in or on the vehicle. All Around Oz has also put together a video that you can watch for a more detailed explanation. We hope this helps you to understand what these weight abbreviations mean for you when towing a large trailer or caravan. We think it is really important that you know what your rig weighs as in the unfortunate event of an accident, if you are overweight, your insurance company may choose not to pay your claim. If your are not sure what your vehicle/s weighs, it may pay you to take it and get it weighed. 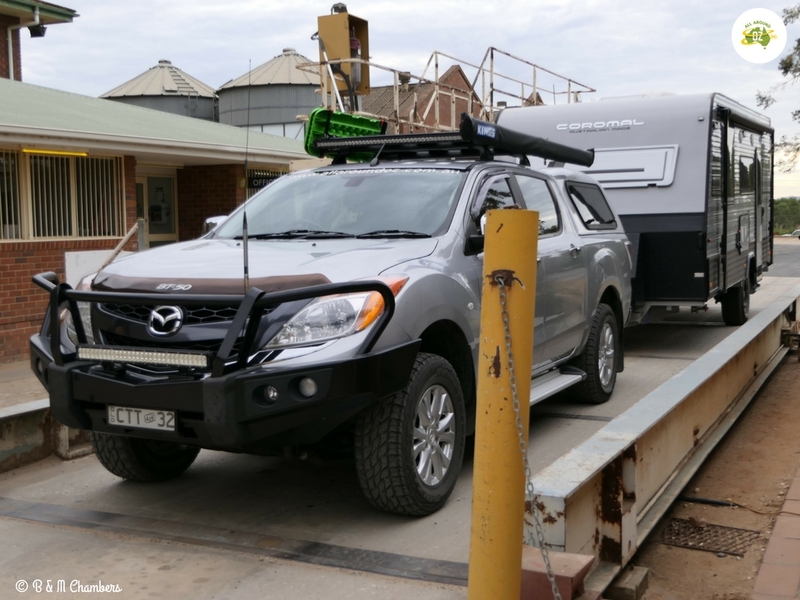 There are Public Weighbridges available for use in many areas of Australia. Click on the link to find one in your area. You may like to read our post on GVM and GCM Upgrades to see if this is something that might help you stay within your limits. Great explanation Brenden best one I’ve seen – photos are really good. I still need to weigh my combo and also work out correct tow bar height and if I need a WDH. Seems the whole exercise of weighing one’s tow vehicle and caravan is fraught with perplexities and gotchas. Thanks Paul…glad you found it helpful. Thanks Col…glad the photo’s were helpful. Very good explanation, and the pictures help a great deal. 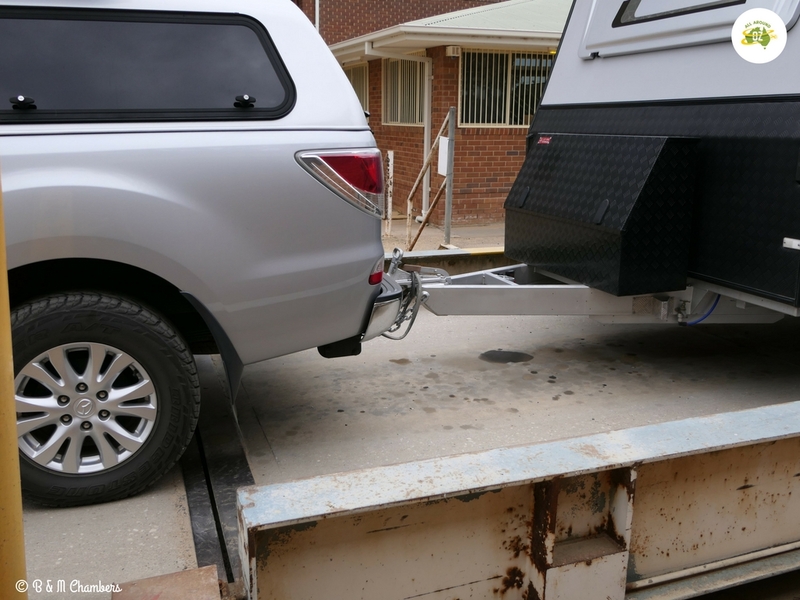 Hi Brenden thank you for putting together this great video on tow vehicle and caravan weighing. I am now going to check my vehicle weights and vehicle plates to work everything out. Best wishes Greg Walsh. You’re welcome Greg. We think it’s an important issue. Any questions, please feel free to contact us.